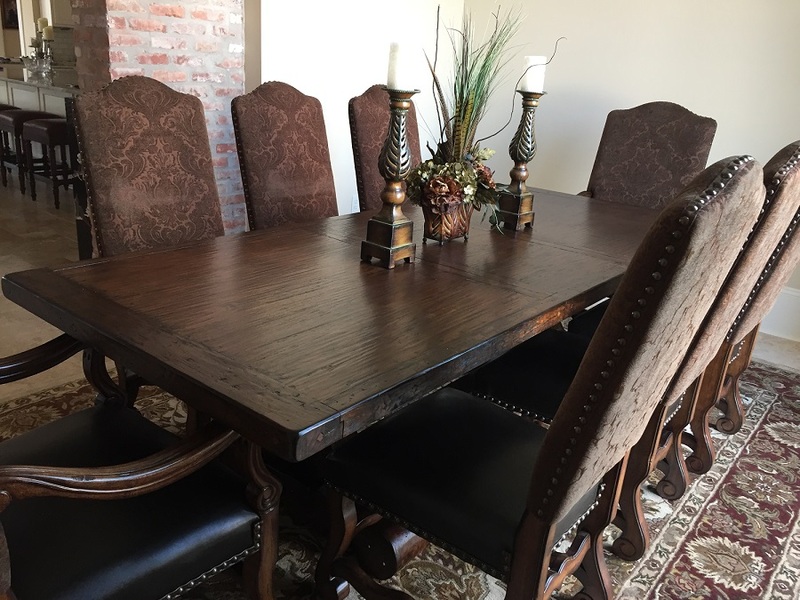 With a rich old world dark chestnut finish, the Spanish / Tuscan style Sienna Trestle Dining Extension Table is uniquely distressed to showcase the wood and give it a very natural but elegant look. 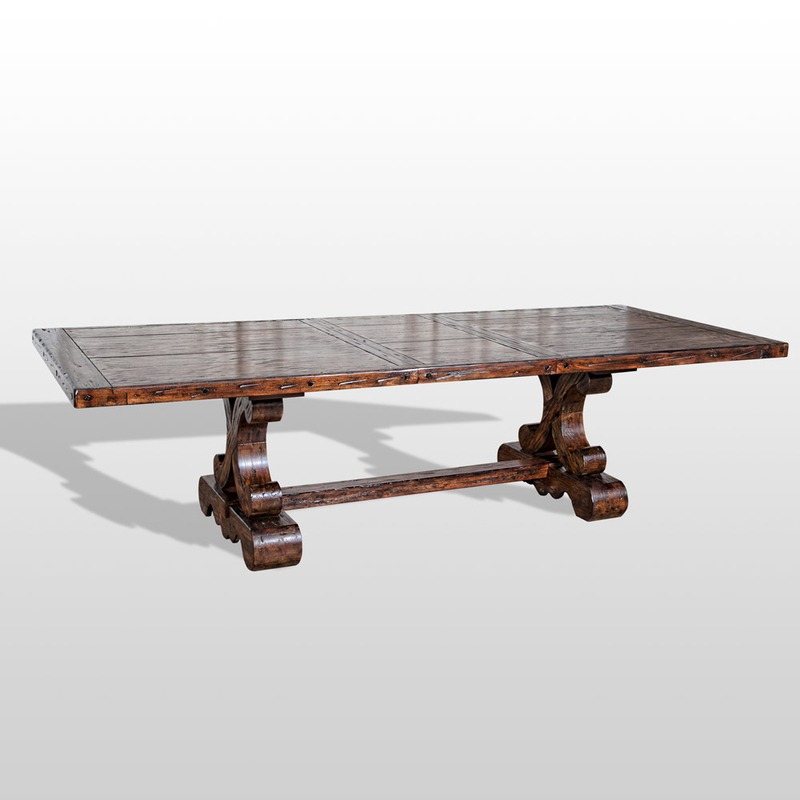 This table reflects European Old World style! Each dining table is uniquely finished with durable furniture sealers to protect the wood. The large Sienna dining table is a high end quality table at an exceptional value! Need Dining Chairs? View the Hayley Dining Chair Collection, or the Granite Side Chair.